What is the most rewarding part about being a staff member at a community college? Working in a community college offers the privilege of focusing on the needs of the individuals in our community regardless of income, social status, prior experiences, or personal challenges. When I also consider that both Lindsay Hopkins Technical college and Miami Dade Community college were instrumental in the transformation of my life, I can safely say that the opportunity to change the lives of our citizens in positive and meaningful ways to improve economic, personal, social, and professional outlooks is the reason that I do what I do. Community colleges provide the framework for building or igniting dreams and forging the realization of expectations—we help people move mountains that block their success. What is your best piece of advice for new or existing colleagues at community or technical colleges in your field? My best piece of advice to new colleagues is, “Teach in the community college out of love for the community and the desire to improve the lives of the community. If you love doing anything else, do that thing instead.” Additionally: be open, compassionate, listen well, and hear what may not be said. Be willing to give of yourself, to explore challenging solutions for the vulnerable and capable students alike, and speak up when it is necessary to do so. I connect with students by listening to their stories and sharing my story. Often, sharing my story and making myself vulnerable opens honest and authentic conversation with my students. I take an interest in their goals, successes, and struggles; I am willing to ask them hard questions, and I speak truth into their lives with much love. I encourage small changes, allow students to set their expectations for their future, cheer them on as a mentor, coach, and advocate, and leave the door open for them to come to me any time they need me. I would have dinner with a group composed of Joseph, Joshua, Caleb, Mother Theresa, and Martin Luther King, Jr. Joseph to understand the importance of forgiveness, seeing the circumstances through the eyes of those you serve, planning for the difficult days ahead, and implementing a plan for saving the community. Joshua for his humility and to experience the vision that great leaders are first servants who overcome personal challenges and those presented by those they serve. Caleb because he understood being in the shadows, speaking up against all the odds, and serving for the benefit of the community and greater good. Mother Theresa because her life made a difference in helping the least and most vulnerable. And finally, Martin Luther King, Jr. to ask him, “Are our communities getting closer to the dream, or are we further away than we think?”. 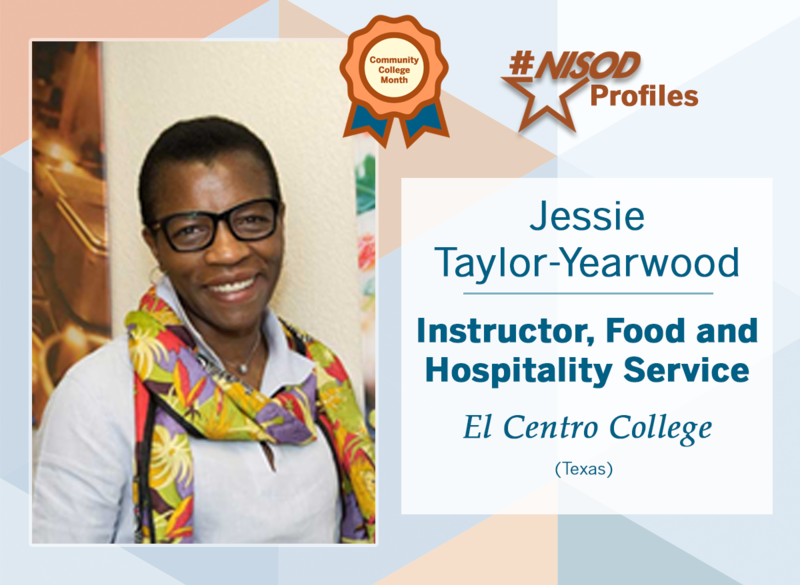 Every month, NISOD profiles faculty and staff from our member colleges who are doing extraordinary work on their campuses. #NISODProfiles offer a direct connection to your colleagues from across the world who exemplify NISOD’s mission of improving teaching, learning, and leadership.